The transformation began... My crush, Audrey Fulton, said she liked me too. Wow! Nothing happened. I was too scared to reply to her but I'd been absolutely infatuated with her for six years. I got a 'nice' bicycle(below). This was my spaceship...5-speeds, 39 pounds of steel! 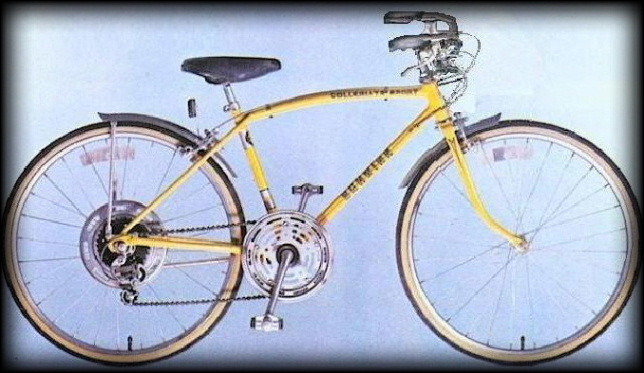 The 1979 Schwinn Collegiate Sport boy's bicycle. I'd hit the big time! I began exploring. On one of my first test rides I penetrated a high-dog area, didn't get bitten, and discovered the house of best friend, Tom Crayner. I didn't remember where he lived but when I saw it I recognized it. Mom said it was too dangerous to reach by bicycle. I'd done it by accident. And it wasn't really hard. I began visiting Tom regularly after being best friends for five years! Our talents synergized to create some of the worst recordings ever made by living creatures who weren't immediately killed afterwards for food. But we had a blast and were often on the floor, laughing so hard neither could reach the 'stop' button on the recorder. We'd often play a game of tag on bicycles, on his acre of land. hills. I was always late...late to leave for his house, late to leave for home, so I was forced to pedal as hard as I could to be on time. Soon the hills weren't so hard. I learned to outrun or outmaneuver dogs. Against Dad's wishes, I played with the shifters and found out why I had five speeds. No one else in the family knew. Dad thought I'd break the bicycle. I didn't. I never considered being a cyclist but I needed to get into shape. 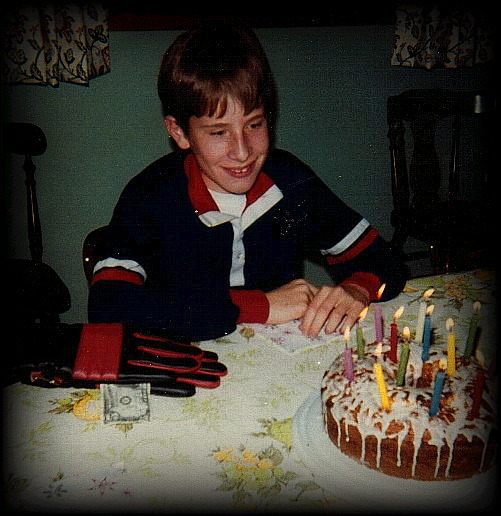 I was skinny, too shy to talk to girls, timid. This bicycle was nice. Maybe I'd ride until I was in good enough shape to run errands without being tired. That was my plan, and it ended up being the pivotal year of my life. I discovered my world...it was huge.